The church was erected on a mediaeval elevated earthen fortification, situated on a prominent position in the village of Mala Črešnjevica. The central plateau on the top of a natural hill dominating the wider environment is protected by a moat and an earthen rampart (best preserved in the east). The Orthodox Church of 318 Nicene Fathers, damaged during the Homeland War, occupies the highest point of the fortification. The fire caused by explosives destroyed the roof and ceiling of the apse and aisle and damaged the upper portions of walls. The Orthodox Church came into possession of the land in the 17th century and erected a church on the remains of what had obviously been a mediaeval, Gothic building. The original church had smaller dimensions. During the Baroque period, the church was raised and expanded with the addition of the western façade with a bell tower. There were interventions also in the interior architecture of the church. 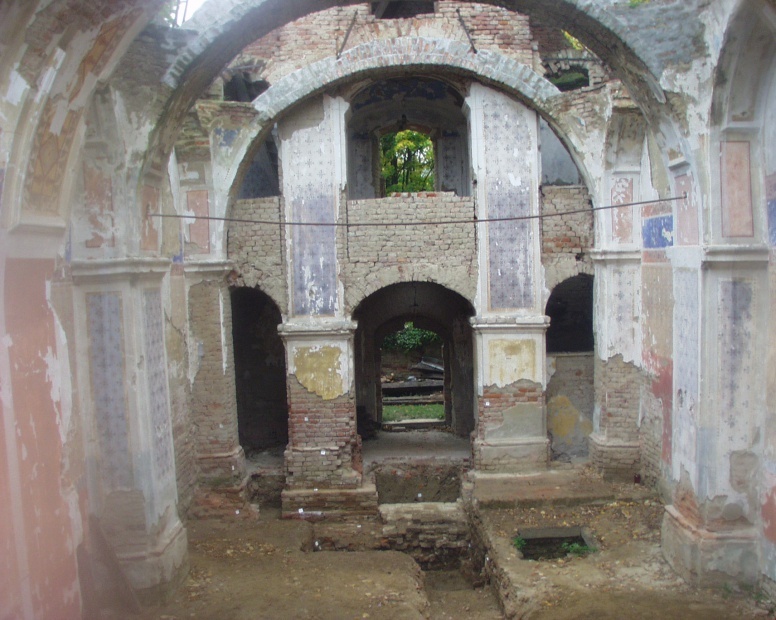 The Gothic structure is recognizable in the wall-building method (typical Gothic method of laying bricks), and restoration works uncovered also characteristic Gothic windows. The visible Gothic structure above the ground surface shows that this was a small rural single-naved sacred building with a rectangular sanctuary. 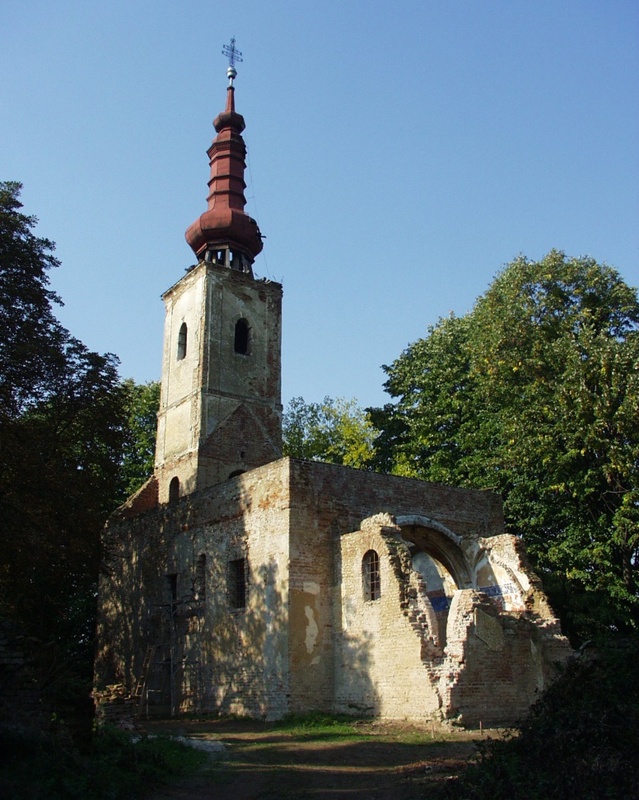 St. Martin’s church was mentioned as early as 1334 in the list of parishes of the Zagreb Diocese. 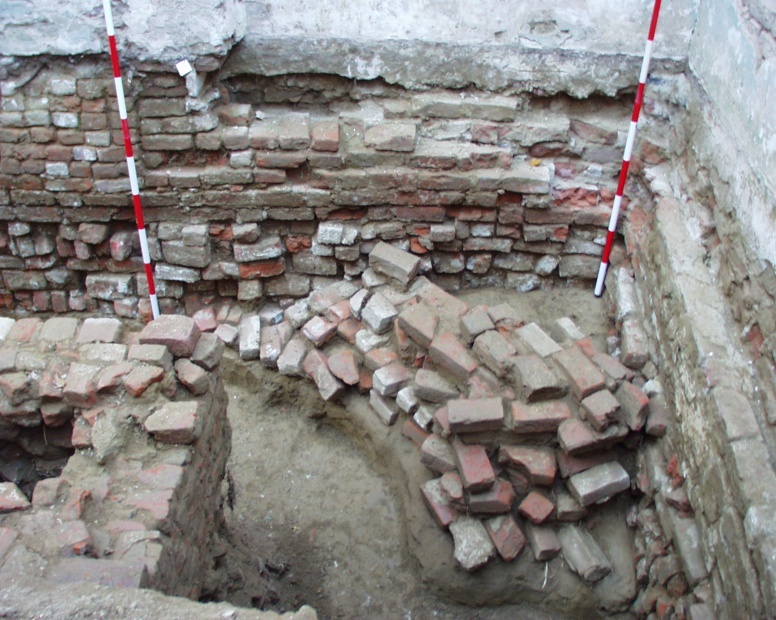 Archaeological investigations established that the single-naved Gothic sacred building with a rectangular apse had another, earlier construction phase. At this point in the research it cannot be ascertained whether the discovered remains of an older semi-circular apse belong to the first Gothic phase or an even older phase of construction. Following the building phase of the church with the semi-circular apse, two other Gothic phases were documented, as well as several phases from the Baroque and subsequent periods. The church is surrounded by a late mediaeval cemetery. The deceased were buried also within the Gothic perimeter of the church, with most burial contexts exhibiting damage by subsequent interventions.